In 1985, our founder Ed Bieber was approached by parents asking him to begin a summer program based not on sports or competition, awards, color wars, or pressured schedules, but instead one that was based on cooperation and each child’s inherent connection to nature. Family-owned and operated for 34 years, The Nature Place has grown into a vibrant community of campers, families, staff, alumni, and friends. Our mission, which feels more important than ever, is to foster connections – to ourselves, to each other, and to earth. 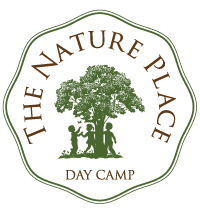 On 200 beautiful acres in Rockland County, New York, we bring you The Nature Place Day Camp, 6 weeks of summer camp for children ages 4-16 (shorter enrollments available). Campers come to us (we bus) from Manhattan, Brooklyn, Rockland, Westchester and Bergen. Connecting to nature through outdoor play and hands-on experience is the heart of our camp. The nature of our camp is cooperative: the games we play, the way we (campers, staff, administration) interact with one another, and the way we treat the earth. Hiking, earth art, swimming lessons, mucking in the stream, camping, canoeing, climbing, farming and gardening, meeting animals, storytelling, music, archery, cooking and drama, are some of the many ways we engage with each other and the earth. A small, specialized, hands-on farm, garden & nature experience for children ages 5-13. A week-long overnight wilderness experience that provides a nurturing and meaningful rite-of-passage experience for adolescents ages 13-16. An art & nature-based program for young people ages 9-14 who have a passion for visual art and who find inspiration in nature. Get a little taste of summer at one of our free year-round events. Bring your family, friends, and neighbors to tap a maple tree, see some outragehisss pets, forage for wild edibles and more! An immersive, hands-on program designed to build a foundation in knowledge and techniques that have been passed down for generations – sessions for families, children & adults. The best way to get a sense for our camp is to come visit. Though our Open Houses & Camp Tours are over for the season, we offer several free events for whole family during the Summer. Visit our Calendar for details. Located on the campus of the Green Meadow Waldorf School and the Threefold Educational Center, we explore, play in, and learn from 200 beautiful acres of farmland, gardens, trails, woods, fields, streams, ponds, and swamps. Find more ways to meet us here. Sign up to receive The Dirt, our monthly newsletter sent out September through May. Sharing your email is an act of trust; we respect this. Want to dig up more Dirt? Visit The Dirt Archives to see back issues.